For a while there we were getting a tiny amount of eggs. Adjustments were made to the amount of shade and to the roosts in our laying hen pens. Now we have eggs on a regular basis again. Including this one, which looks to be the size of a duck egg! 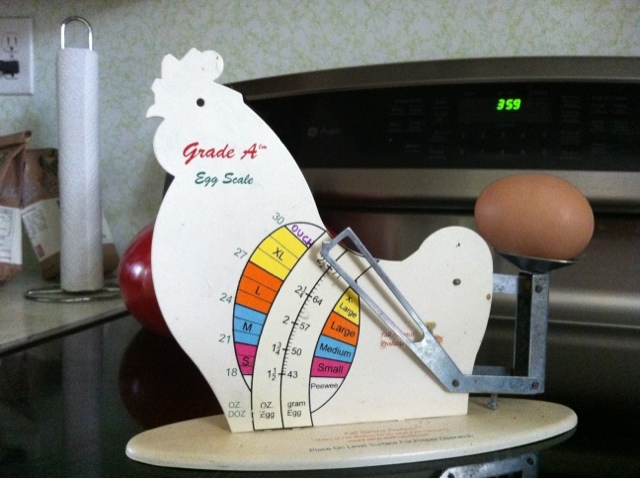 Homer added a new size to the egg scale for this one!